Teach struggling students test-taking tips to help them improve test scores. Test-preparation programs are big business. Usually these programs are associated with high-stakes assessments that are used for college admissions and scholarships. They tend to focus on supporting participants in passing a specific assessment (e.g., GRE, SAT, LSAT), but they sometimes also include general test-taking tips and skills. These test-taking tips are useful not just for high-stakes assessments, they also are useful for helping struggling students demonstrate what they know on secondary school classroom tests. Being able to pass tests in school is important to school success. 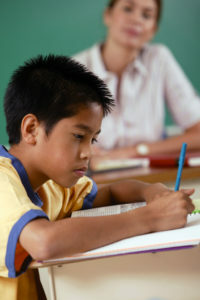 Many students do not have the necessary skills to do well on tests even if they know the content. 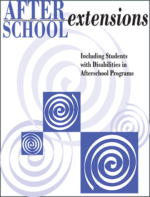 Afterschool programs are an excellent place to teach students test-taking tips. Following are practical test-taking tips that if taught to students, may help them improve their test results. Teach only one tip or strategy at a time. It is helpful to demonstrate how to implement the tip and then provide practice opportunities. Have students keep a notebook of test-taking tips and strategies that they are learning and then ask them to report back on how they used these strategies when taking classroom tests. Consider asking students’ teachers for old tests that you can use for practice. Learn common test vocabulary. For example, define terms such as compare and contrast. Give students practice in answering questions that use the terms. Other terms often found on tests include criticize, describe, illustrate, summarize, evaluate, and solve. Read test directions carefully. For essay questions, read the directions carefully and underline key words that tell you what to do. Survey the entire test before you start. Take your time, but do not waste your time. Know how much time you have and use it wisely. For example, if you have fifteen minutes to answer 10 questions, make sure you do not spend more than several minutes on any given item. Do the easy questions first and come back to the hard ones. Skip the hard questions if necessary. Make a check mark next to questions that you need to return to. Answer the questions that score the most first. If you do not know the answers, move on to those questions where you do know the answers. Review answers to all questions. Check your work. Look for clue words. For example, words such as always and never on true or false questions often are a tip-off that the statement is false. Words such as usually and sometimes often are a tip-off that the statement is true. On multiple-choice questions, eliminate the obvious incorrect statements and then select the best choice from the remaining statements. For multiple-choice questions, know how many answers to select. Be sure of the kind of answer you are looking for (e.g., negative questions). Eliminate the wrong answers and choose the answer that fits best. Answer the test item in the way you are told (e.g., circle or write the letter). Mark an “X” at the bottom of each completed page of the test. For more practical suggestions like these test-taking tips, see Afterschool Extensions, available in print (while supplies last) and in ebook format at https://www.exinn.net/after-school-extensions/.